More league-wide sites are releasing their late-summer organizational rankings, and the Chicago Blackhawks are impressing a lot of people. Here’s a look at what some major sites have said about the Hawks’ organizational depth. What you’ll see below is three different rankings from major websites, as well as the draft grade from ESPN. While the grades aren’t identical, all three sites agree that the Blackhawks have emerged as one of the deeper prospect groups in the NHL; Hockey’s Future hasn’t released a new set of organizational rankings since before the Draft. We also provided each site’s rankings for the rest of the Central Division. 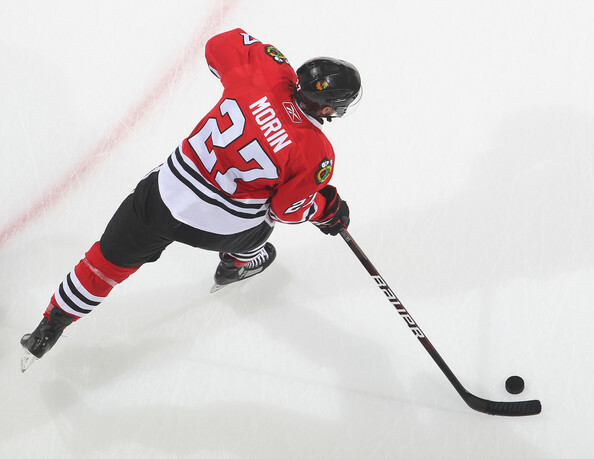 “There’s a lot to like in the further reloading of the Blackhawks. Mark McNeill offers toughness and enough skill; Phillip Danault’s got savvy and hockey sense. In the second round it’s either-or with a couple of sliding prospects who are late-birthday alumni of the U.S. National Team Development Program. Both Adam Clendening and Brandon Saad played their best hockey on championship teams in Ann Arbor and then struggled at BU and Saginaw, respectively. If one of the two lands, it’s a win. So Nashville is 26 on ESPN and 3 on both other sites? How can that be? 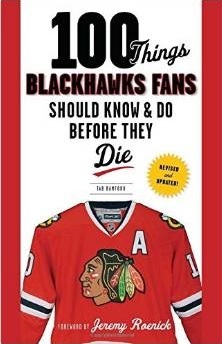 I think ESPN and Hockey Prospectus has them very appropriately ranked. The Blackhawks may not have any really elite prospects in their system, and they may really be lacking in goaltending, but I think they have more depth than any other organization at forward and defense, enough to at least be considered a top five system. Expect the Blackhawks to make a big jump in Hockey’s Future’s fall rankings, most possibly as high as 4, with the Kings, Predators and Blue Jackets dropping. McNeil should have a 7.5B grade and Saad a 7.5C grade, while Danault and possibly Clendening should have 7.0C. If the Blackhawks are able to grab another defenseman with a high ceiling in the first round in next year’s draft and select two promising goalies in later rounds, I don’t see why the Blackhawks couldn’t be ranked in the top three by this time next year. How many other contending teams can say that?